Be among the first to get updates on QBREXZA™ (glycopyrronium) cloth. All fields are required unless otherwise noted. You must be at least 13 years old to sign up. Uh-oh! This information is required. Uh-oh! Please enter a valid email address. *Has QBREXZA been prescribed to you? *Has QBREXZA been prescribed for your child? *Has your child been diagnosed with excessive sweating (axillary hyperhidrosis)? From time to time, we may provide information and offers related to excessive underarm sweating by mail. If you would like to receive these offers, please provide your mailing address. By checking the circle and clicking “Sign me up,” you agree to disclose your personal information to Dermira, Inc., and to be contacted by Dermira and its agents by direct mail, email, telephone, and text message (including autodialed and prerecorded calls and messages) for marketing purposes regarding products, services, market research, site updates, and other information related to excessive underarm sweating and Dermira products and services. You also authorize Dermira to use and disclose your personal information in accordance with Dermira’s Privacy Statement. For more information about Dermira’s privacy practices, please view Dermira’s Privacy Statement. You may choose to no longer receive further communications from Dermira by following the unsubscribe instructions on the communication. Please complete the form before submitting. Thank you for registering to stay up-to-date with QBREXZA™ (glycopyrronium) cloth. Your information has been sent! You can expect a message in your inbox shortly. 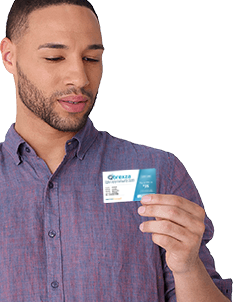 Eligible patients can save on prescriptions with the QBREXZA Copay Card. Get yours now. 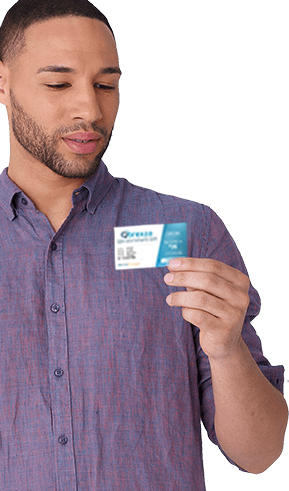 Remember, your QBREXZA Copay Card may help you save on your monthly refills. Find out what your benefit could be.